Wood Floor Moldings are used to cover the expansion area, create height differences, hide cut ends and to accent the floor. T-molding is used to transition from one floor to another when both are at the same finished height. To perfectly complete and finish a room our trims and moldings receive the same meticulous attention to detail as our flooring boards. Buy online Mohawk Crema Maple 9/16 in. Thick x 2 in. Wide x 84 in. 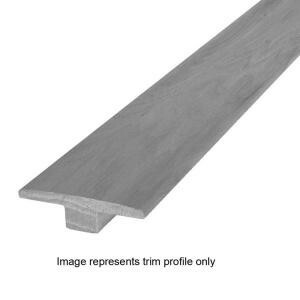 Length Hardwood T-Molding HTMDA-05348, leave review and share Your friends.